Approximately 311 million metric ton of plastics were produced in 2014 alone, and production is steadily increasing each year. Up to 10 % of the plastic produced each year worldwide ends up in the aquatic environment, where it persists and accumulates. The sources of microplastics include fragmentation of larger items entering by rivers, runoff, tides, winds, and catastrophic events, together with at-sea sources. There are also direct inputs of microplastics as micrometer-sized particles, such as cosmetic beads and clothing fibers that pass through wastewater treatment into the environment. Plastics do not last forever, and the aquatic environment is suitable for plastic degradation. Physical, chemical, and biological processes are fragmenting the original plastic pieces of litter, turning the aquatic environment into a soup of microplastics. The mass of plastic in certain parts of the ocean is already surpassing the mass of plankton, and in the relatively near future the abundance of plastic micro and nanoparticles will be considerably greater than the count of plankton. Microplastics are of environmental concern because their size (millimeters or smaller) renders them accessible to a wide range of organisms at least as small as phytoplankton, zooplankton, with potential for physical and toxicological harm. Current scientific research on microplastics is predominantly focused on marine environment and on individual species, while studies in freshwaters including mesocosm- based research, are lacking significantly. To the best of our knowledge, only 2 mesocosm studies were performed in the past in which aquatic organisms were exposed to microplastics. However, both of the studies were performed in the marine environment, and in fact can be characterized as an outdoor microcosm studies (10 L containers) rather than real mesocosm studies. Since freshwater systems also contain copious amount of microplastics which can interact with virtually all freshwater organisms that have shown in some of the laboratory experiments. There is an urgent need to perform environmentally realistic, outdoor freshwater mesocosm experiment on microplastics to understand the fate of microplastics in shallow freshwater lakes. The main objective of this study is to evaluate effects of microplastics in shallow freshwater lakes by exposing water and sediment in mesocosms simultaneously to the environmentally relevant mixture of various microplastic polymers (cocktail of microplastics) as found in the nature. Different types of microplastic have different densities resulting in a different distribution patterns in the aquatic ecosystem while many aquatic organisms move/migrate throughout the day and may interact with different microplastic polymers from different compartments of the ecosystem. On the other hand, benthic burrowing organisms are able to interact only with the high-density microplastic polymers. Furthermore, different types of microplastic polymers may induce different toxicity. Thus, in order to truly understand the effects of plastic littering on freshwater ecosystem we will use the relevant littering mixture of plastic polymers as cocktails. Therefore, we will carry out a mesocosm experiment with an environmentally relevant concentration of microplastic in all of its compartments (surface, water column, and sediment) of 0.007 g microplastic per m2 of surface water; 2 g microplastic per m3 for water column; and 8 g microplastic per m2 of sediment all mixed in a single mesocosm container (in 4 replicates). An additional 10 X concentration exposure and control group will be setup. For this purpose, we will use a different buoyancy microplastics of 0.95; 1-1.01; and > 1.05 (pre-mixed with sediment) gcm-3plastic polymers for surface, water column, and sediment, respectively. 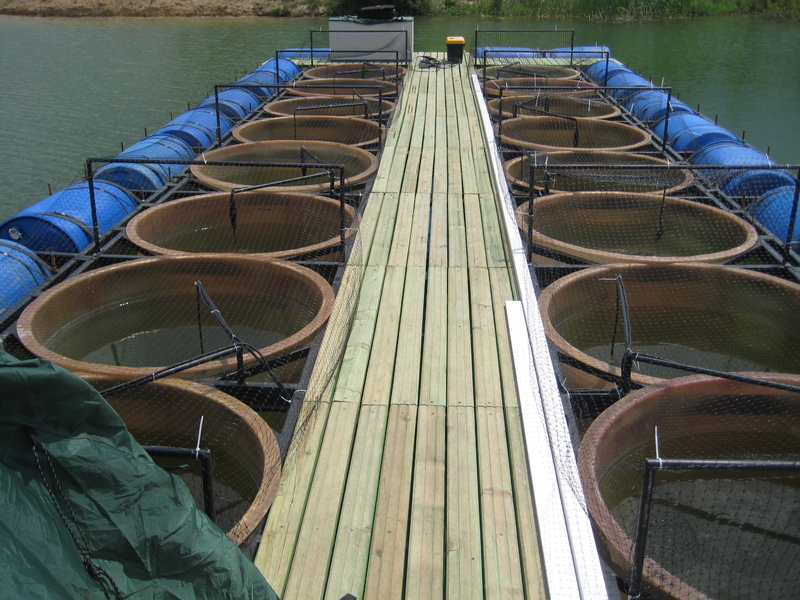 We will use 12 cylindrical-shaped mesocosms (8 experimental + 4 control), maximum volume 1360 L each, on a floating platform in the middle of a lake. Each mesocosms include organisms from bacterial community, phytoplankton, zooplankton, macro-invertebrates and to macrophytes at mesotrophic trophic state. We will examine ecosystem-scale impact of microplastics in a mesocosm experiment, tracing ecosystem-level effects of exposure to realistic mixtures and concentrations of MPs through measuring the impacts on ecosystem structure and function and food web dynamics. Microbial community structure, Chl-a, zooplankton biomass, phytoplankton biovolume and community structure, zooplankton: phytoplankton ratio, macroinvertebrate biomass (chironomids biomass and mentum) deformations will be measured together with usual physico-chemical parameters. During the experiment scientists from a team led by Dr. Boris Janovic, Iowa State Univ, USA will join the mesocosm experiment usual set up also together with focusing on chironomids through serious of additional laboratory experiments that have been planned to test predator evasion capacity of zooplankton and changes in the mentum apparatus of Chironomus spp at different concentrations of microplastic types. The second team led by Dr David Boukal, University of South Bohemia, CZ, including 5 TAs will focus on the microplastics particle ingestion in zooplankton and transfer of them in and beyond the aquatic food web. Second, realistically dosed mechanistic laboratory experiments will be used to elaborate and confirm observations from the mesocosms relating to the distribution, uptake and food web transfer of microplastics. They will develop new insights into the extent of microplastics ingestion for species at different trophic levels; possible impacts of them on the abundance, diversity and functioning of aquatic biota; and the transfer of microplastics to terrestrial ecosystems. who is an ecotoxicologist and will be joining to our mesocosm experiments through Erasmus exchange programme and will also be teaching on the topic as well. 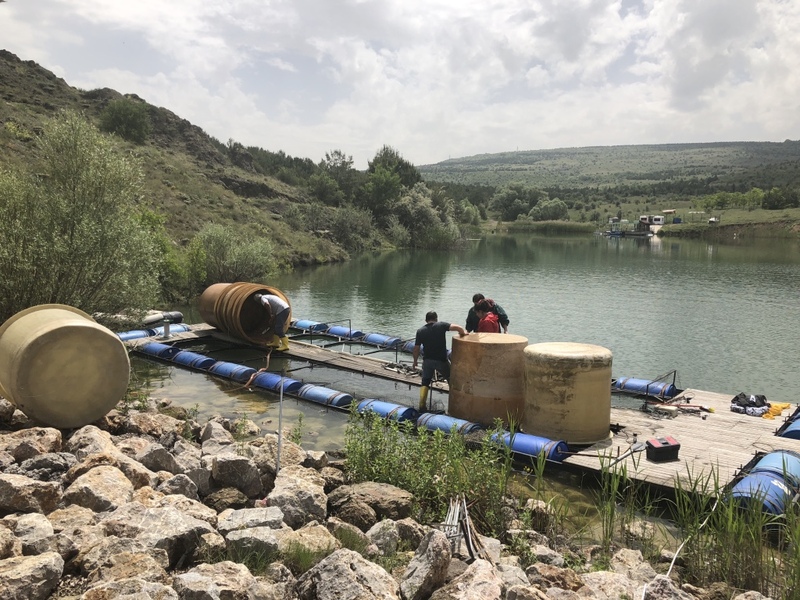 The planned mesocosm experiment at METU will start in June 2018 and will run for two months. We are very happy to host 12 TA guests in our experiment and to work with a wide international community. Our experiment received first TA Boris Jovanovic form USA, Iowa State Univ., just arrived. 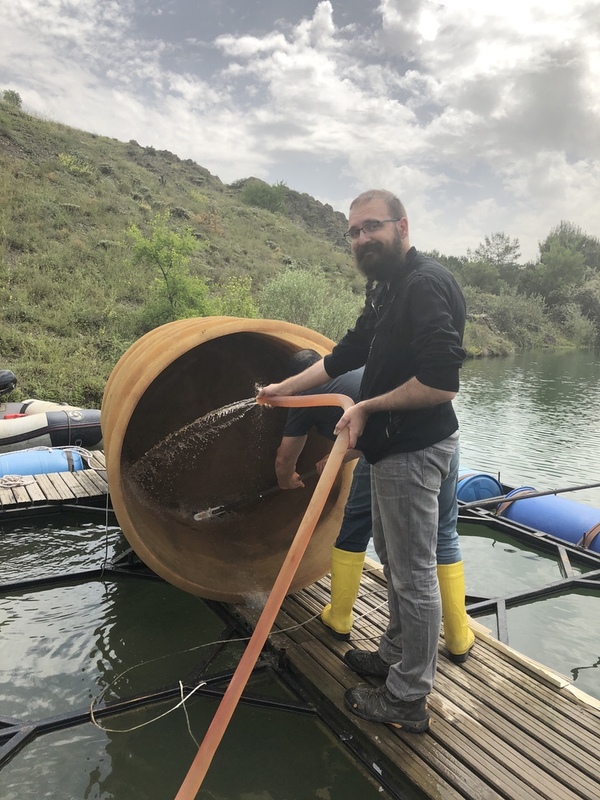 Preparation: The world’s first microplastic mesocosm experiment on freshwater lakes with environmentally relevant concentration of microplastic in all of its compartments (surface, water column, and sediment) is about to start.